The Radio-Domains are at the GoLive Period. 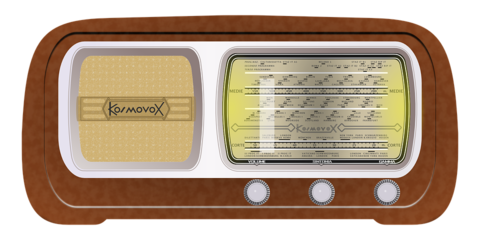 The target groups of the Radio-Domains are broadcast radio, web radio, radio-amateur, radio professionals and radio-related companies selling radio goods and services. • Radio Journalists and professionals can register Radio-Domains derived from firstname and lastname. Examples: firstname-lastname.radio like alain-artero.radio or first_letter_of_firstname-lastname.radio like a-artero.radio or first_letter_of_firstnameLastname.radio like aartero.radio or lastnameFirst_letter_of_firstname.radio like arteroa.radio. • Community radios and radio amateur ham clubs get the reduced price since 12/9/2018. The special price for these special target groups is 59 US-Dollar/year. The standard Radio-Domain will cost 249 US-Dollars per year. Customers, which have been interested at Radio-Domains, are in many cases also interested in Am-Domains , Fm-Domains and Tv-Domains. By clicking at the button, you confirm a free, but binding pre-registration of (a) New Top Level Domain (s), which will cost at succesful registration 59 US-Dollars or 249 US-Dollars/domain and year and that you have read and accepted Trade Conditions, Registrants Rights and Responsibilities, the Uniform Domain Name Dispute Resolution Policy and the policies of the registry.